We saw for the past year how anti-plastic campaigns have been sprouting across different commercial establishments in the country. Big and small businesses also joined in the movement by selling more sustainable items that you can use everyday such as metal straws, bamboo toothbrushes, shampoo bars, and the like. 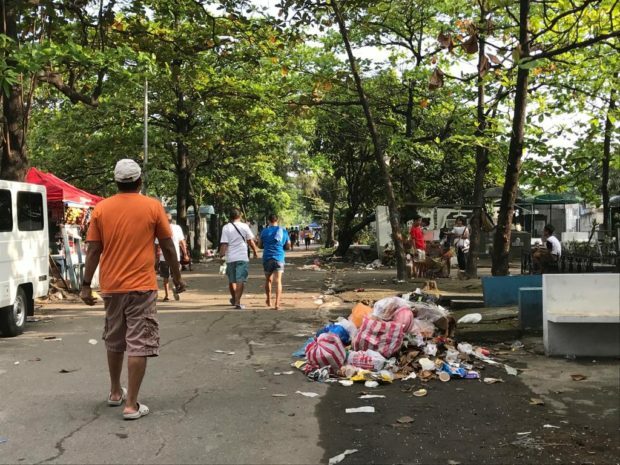 But despite the rise in these efforts, the Metropolitan Manila Development Authority (MMDA) has revealed that the garbage problem in Metro Manila is, in fact, ‘worse’ this year, producing about 56,000 cubic meters of trash a day. This number is enough to fill in 1,200 to 1,500 truckloads of trash everyday. It was recorded in the previous year that 54,000 cubic meters of waste were generated a day, increasing this year’s number to 2,000. So why has the issue gotten from bad to worse? Photo courtesy of Daphne Galvez/INQUIRER.net. The MMDA pinpointed the increase in population as well as the lack of public awareness on waste management to be the culprits of the problem. While they found that majority of the waste produced is biodegradable, 32 percent still remains to be non-biodegradable. The three landfills servicing Metro Manila are still usable for a few more years. A recent clean-up drive by the MMDA also collected about 34 tons of garbage in Manila Bay alone. To add, the MMDA has also gathered about 61 truckloads of trash from different cemeteries across Metro Manila in light of the recent All Saints’ Day and All Souls’ Day events. A report in 2015 disclosed that the Philippines was the third largest contributor of plastic waste in the world—majority of which end up in the ocean. If governments, corporations, and even the common people continue to turn a blind eye to this issue, billions of tons of plastic will end up in our landfills and oceans by 2050. This is mainly due to the fact that the Philippines thrives on a “sachet economy” or those with limited income opt to purchase cheaper alternatives of products sold in smaller quantities or single-use packaging. The Philippines’ growing garbage problem might just continue to go downhill from here if nothing is done about this.